Zermatt has long been a premier destination in the whole of Europe for ski enthusiasts. However, its charm not only attracts addicts of the sport but also those that admire natural beauty mixed in with fresh mountain air and of course the magnificence of the Matterhorn that seems to have a gravitational pull of itself so strong that people from across the globe travel to see it. Zermatt is all about extremes; you can either enjoy its offerings in a leisurely manner or challenge yourself with adventure. It lets you take in the sights from a distance or immerse yourself into them. Gornergrat Rail - A train ride that goes up the valley to a viewing station that on a cloudless day gives breathtaking views of the Gorner Glacier. The sights from the observatory and a chance to play with snow in summer is the perfect excuse to take on this trip. 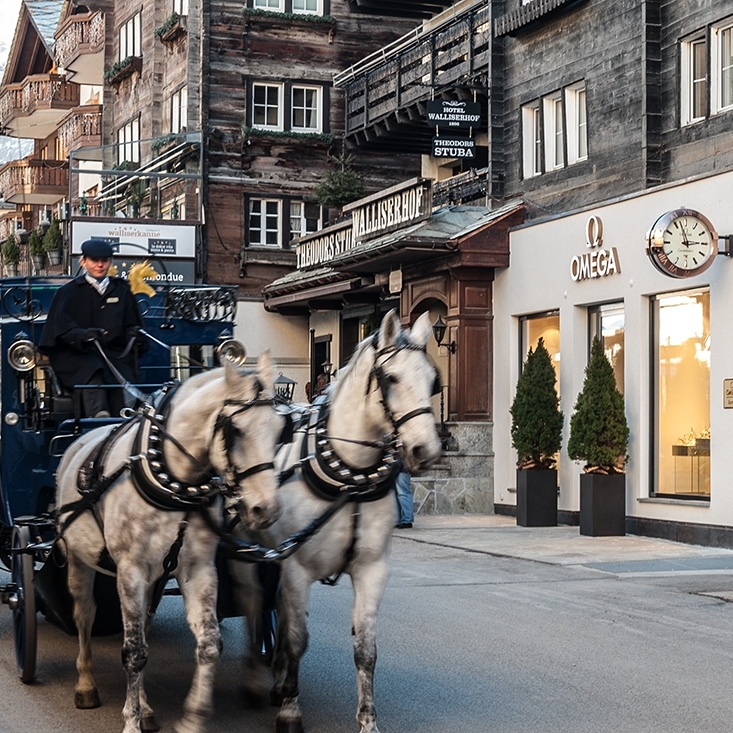 Bahnhofstrasse - The main street in Zermatt is lined with souvenirs shops, hotels, restaurants, and ample shopping options to suit all tastes and budgets. A romantic evening stroll before dinner or just for window shopping, this is where everyone comes down to during evening time for a bit of mingling and socializing. Matterhorn Glacier Paradise – The must-do activity in Zermatt, small gondolas first take you up the mountain via numerous stops all the way to Trockener-Steg from where the final ascend to Klein Matterhorn is done in a cable-car to reach Europe’s highest summit station. Needless to say, the experience is exhilarating and the sights spectacular. Matterhorn Museum - If you prefer to have your feet firmly planted on the ground then you can learn about the history of the region at the Matterhorn Museum that presents an abundance of information and knowledge for any enthusiast in a less dramatic surrounding. Forest Fun Park - If adventure is your game then head over to Forest Fun Park, a course based theme park, to take part in activities like zip-lining, high-ropes, and parcours. There are various courses that suit different ages and stamina making this a perfect place for a healthy family day out. 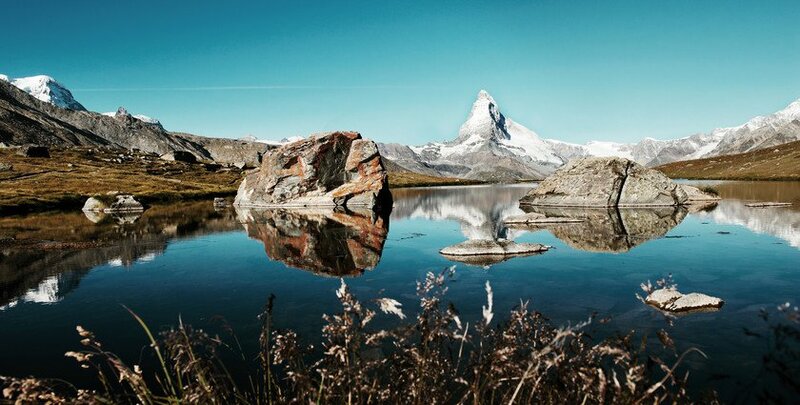 Hiking is huge across Switzerland and Zermatt provides some of the best trails in the country. Depending on your preference, you can either take a cable car up to a mountain stop and hike back or else can simply walk from one side of the town to another and be one with nature in its purest form. In addition, one of the most scenic trails in the region is that of the 5-Seenweg – 5 lakes walk – that takes you some breathtaking paths with magnificent views. While most tourists are satisfied with taking the cable car up to the Matterhorn Glacier Paradise, for the truly adventurous souls, take a guided hike/expedition from the summit onward to Briethorn. Skiing is the other main attraction in Zermatt and the winter months especially are full of enthusiastic skiers arriving from around the world to conquer the surrounding peaks. There are countless options for all skill levels as Zermatt is often considered a bucket-list destination for a professional or amateur skier. Zermatt provides its visitors with all kinds of accommodations raging from beautiful chalets up the mountains to apartments that are rented out even for short durations. There are hotels for all budgets but if you're looking to splurge then the Grand Hotel Zermatterhoff on Bahnhofstrasse is the epitome of luxury and service. In case you are looking for a budget accommodation, try renting Studio Collinetta, which was a clean, comfortable, and cute apartment that can easily fit a family of four. It’s a little far away from the station but the host has a tie-up with a taxi-service that gives a slight discount. Rösti - A potato fritter topped with vegetarian or non-vegetarian add-ons, pickle, and a fried egg, makes for a deliciously warm meal on any day. Swiss Sausage - Veal is a popular ingredient and Swiss are definitely a must eat for any meat lover. Raclette - If there is one food "experience" you need to have in Switzerland, especially in Zermatt, it's witnessing melted gooey cheese being scraped off half a cheese wheel onto your plate to be had with potatoes and pickle. It's cheesy goodness to the max. Fondue - The Swiss are famous for this and sitting outside Restaurant Whymper-Stube, taking in the rays on a sunny day, admiring the beauty of the surroundings, is the perfect time and place to immerse yourself in this delicious dish. Wine - Not many are aware that Switzerland is a wine producing country with some of the best wines in the world. Because the production is so low, most of it is consumed locally, so make sure that you taste local wines when in Zermatt. Being at a height of over 3000 meters, it is quite possible one might feel light-headed when at Klein-Matterhorn. It's best to stay hydrated and walk slowly. Because of this reason, it is best not to take the really young and the really old all the way up. If you want, you can take the smaller kids up to Schwarzsee. Schwarzsee is a must stop cable-car station on the Matterhorn Express. It lets you get a full-on grand glimpse of the Matterhorn and with its lake makes for a scenic spot for an afternoon snack. When eating Fondue, it is recommended that you accompany it with a warm drink or one with fizz/bubbles for a few hours afterwards so as to avoid having the cheese solidify in your stomach. A lot of houses in Zermatt do not have house numbers - or they aren't printed on them. Instead these places are known by names. It's best to take a taxi to your rented apartment or chalet as you first arrive to avoid getting confused or lost.